Welcome to today's weekly Travelfeed Australia, Oceania & Africa roundup brought to you by @mrprofessor and @for91days. We're wishing everyone a great start into the new week! Dreading this upcoming work week? Why not start day-dreaming about Cape Point, which is the highlight of a road-trip that begins in Cape Town, and the focus of our featured article. 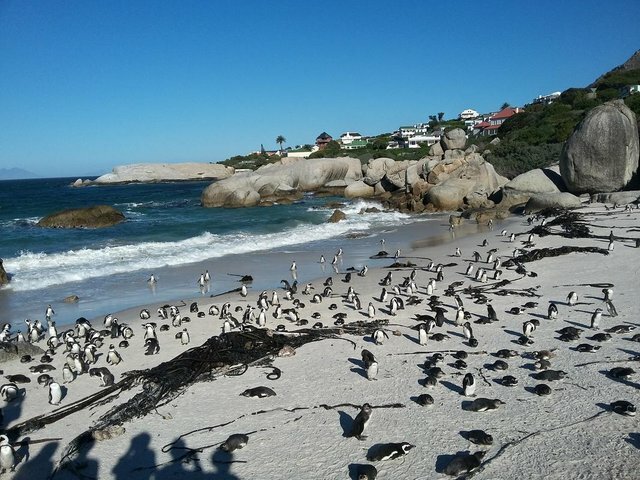 This journey will take you to beautiful cliffs and beaches, and introduce you to cute little penguins. Congratulations to @haritakurdu who will be enjoying the entire reward pool of this Australia, Oceania & Africa weekly round-up. Do you have articles from these areas coming up? Don't forget to use our tag to participate. We wish everyone a great start into the new week! Dreading this upcoming work week? Why not start day dreaming about Cape Point which is the highlight of a road-trip article starting out in Cape Town. It will take you to beautiful cliffs, beaches and cute little penguins. Congratulations to @haritakurdu who will be enjoying the entire reward pool of this Australia, Oceania & Africa weekly round-up. Do you have fitting articles coming up? Don't forget to use our tag to participate.